May I have your attention please? October is National Breast Cancer Awareness Month. Breast health education and awareness is a yearlong effort, but let’s take this time to review some of the specifics on this issue. A disease in which cancerous cells develop in the tissues found in the breast. Breast cancer initiates in the cells of the breast which can later metastasize to other parts of the body. Early detection and treatment of breast cancer is important in increasing the chances of survival. If you have some of these signs and symptoms it does not mean you have breast cancer. However, it is still important to discuss the signs and symptoms with your physician to determine a diagnosis and proper treatment. Anything out of the ordinary in your breasts is important. Do not be afraid to speak up about your breasts during a doctor’s appointment! There are several risk factors that are linked with breast cancer. Environmental and daily life risk factors include a poor diet, limited physical activity, being overweight or obese, consuming alcohol, having radiation to the chest region, and combined hormone replacement therapy. 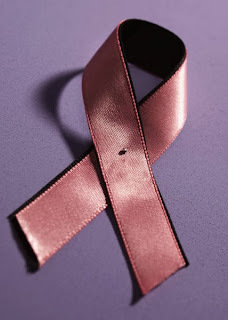 Approximately less than one percent of all breast cancer develops in males. There is a higher mortality from breast cancer in men due to a lack of awareness and a delay in medical treatment. Women are not the only ones that can develop breast cancer. Any unusual signs and symptoms should be discussed with your physician. The earlier breast cancer is detected the higher the chances of making a full recovery. There are environmental risk factors that can be modified with lifestyle changes that include more exercise and a well-balanced diet. Finally let’s empower people in our lives with this information. Create awareness about breast health in your own families, among your friends, and in your own community. If someone you know is apprehensive at the thought of getting a breast exam accompany your friend or family member to get a mammogram. Be the support they need to stay healthy. Have I examined my breasts lately? Dixie Suarez is a Health Studies master's student at Texas Woman's University.